What does MAPS mean in News & Media? This page is about the meanings of the acronym/abbreviation/shorthand MAPS in the Community field in general and in the News & Media terminology in particular. "Maps" is a single by Yeah Yeah Yeahs from their debut full-length album, Fever to Tell. The song is about the relationship between Liars frontman Angus Andrew and Yeah Yeah Yeahs lead singer Karen O. It was released on February 10, 2004, and the band performed the song at that year's MTV Movie Awards. It reached #9 on Billboard's Alternative Songs chart and was included in the popular video game Rock Band. 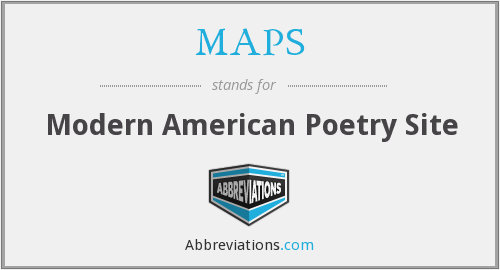 How popular is MAPS among other acronyms? "MAPS." Abbreviations.com. STANDS4 LLC, 2019. Web. 20 Apr. 2019. <https://www.abbreviations.com/term/91434>.